Wait, Python? Should the government be telling us which technology to use? Isn’t this what standards and interoperability are all about? Publish a standard and then require that the software at each issuer adheres to it? I don’t want to debate which is better: Python, Java, .NET, etc, I don’t care which platform the issuers use. Let their CTOs decide, not the government. The government should set technology standards and guidelines (which most of the proposed regulation does in fact do) but not dictate the programming language used. What if the asset backed security issuer is a Java shop? Microsoft shop? (Most are since Excel/VBA is the #1 application development platform on Wall Street.) A Rails shop? Won’t this shoot up their costs as they scramble to write new software in Python? Introduce a lot of bugs that hackers can exploit? Seven years ago I testified in front of the New York City Council against a proposed regulation that would have required all city agencies to use Open Source Software since it was “free.” That regulation failed. Hopefully this regulation will also fail. Last night Jon Stewart ripped into Apple over the lost iPhone I blogged about yesterday. This is just too good. Hey Apple about that missing iPhone. Time to move on. Web 2.0 has made our world more transparent. President Barack Obama has a Twitter account, as does Communist Dictator Fidel Castro. (Britney Spears has more followers than both Obama and Fidel put together, but that is another story.) Product roadmaps are now public as is proposed legislation. The world is a much more open place. One company that has not gotten the transparency memo is Apple. They are so secret that they sue their customers for publishing blogs that speculate what new products are coming out. The tremendous secrecy surrounding Apple has served it well and I see no reason why they will change. That said, the saga of the lost iPhone is starting to get real ugly. By now you know the story: last month, an Apple employee lost a next generation prototype of the iPhone 4G at a bar and the person who found it sold it to Gizmodo for $5000. Gizmodo promptly put an exclusive scoop on their web site reviewing the phone. When that review went live, Apple went ballistic and said they want the phone back. To their credit, Gizmodo gave it back, but kept the web page up. Apple was not satisfied and then sent the police to raid the Gizmodo writer’s house and the police seized computers, hard drives, etc. Apple apparently is going after the person who found the phone and sold it to Gizmodo. California, and several other US states, has a Shield Law, or a law protecting a journalist from revealing their source. Journalists are protected by free speech and obtain secret information all the time. While the ethics of buying the phone from the person who found it in the bar is somewhat questionable, it does not break any laws since the phone was lost and not stolen. The person who found the phone tried to return it to Apple, but did not have his calls returned. (Apparently he even tried an alphabetical search on Facebook for someone to talk to, but Apple is uber secret.) When Apple did not get back to him, he sold it to Gizmodo. Nothing Apple can do now will make the leak and product review go away. Going after Gizmodo is like going after the New York Times for publishing the Pentagon Papers, no chance they are going to beat 230 years of free speech and free press. Apple has no case there. They can’t go after the person who sold the phone since Gizmodo is protected from reveling their source via California's Shield Law. Apple has no case there either. With each legal move and police raid, Apple is looking more and more arrogant. What should they do? Take the high road: drop it and move on. Apple should also enjoy the free publicity. We all remember back in September 2008 when the exotic credit default swaps and collateralized debt obligation bonds filled with subprime mortgages nearly took down the financial industry. Hedge funds also were blamed for running up the price of oil in 2007-8. Due to all of this, governments around the world are calling for financial reform. The EU is planning on regulating the “riskier” end of the financial system. Its proposed Alternative Investment Fund Managers Directive will bring more transparency and reporting-targeting things that pose a “systemic risk” to the financial system. Sounds like a great idea, right? The problem is of course is unintended consequences. If the Alternative Investment Fund Managers Directive is passed under its current form, Venture Capital firms will be required to disclose a lot more information. Traditionally VC firms are private for a reason and this will radically change the VC business in Europe. In addition, it will add a new cost, as much as €100,000 annually per VC firm. The AIFMD will also regulate a VC firm like a bank and force them to hold greater capital requirements. This is counter to the industry trend as VC funds themselves are getting smaller, not bigger (a consequence of being so much cheaper to start a business in 2010 then it was in 2000, or 1990.) The proposal in its current form will also require VCs in the EU to only invest in EU countries! (That is crazy!) VCs will also be required to use external custodians and independent valuation agents. Most of the financial press skipped over that last point or just mentioned how it will increase costs. While costly, it can change the very nature of a negotiation between the entrepreneur and the VC. Let’s say that you are a startup and asking for $10 million of investment at a $40 million post-money valuation. The VC is interested to invest but thinks that you are valued closer to $20 million. What happens next is usually a give and take and a negotiation that results in an agreed upon valuation and investment structure. I have taken Venture Capital a number of times and have worked at companies that have as well, and this is the point in the process where things get creative. A lot of times, the conversation turns from an initial me vs you to a win win structure. But now, the VC firm by law will be required to get an external valuation of your company! The negotiation will never take place, increasing the me v you mentality, thus driving up valuations, and reducing the number of start ups that get funded. European start-ups beware. Move to Silicon Valley. Thankfully the European start-up I work for took Venture Capital from an American firm. The event is really 4 conferences in 4 days. One day each on: .NET, Web, Java, and Seminars. No computer malfunctions like last year, my sessions went smooth. This is rapid fire presenting: only 50 minute sessions! With so little time, I had almost no slides and went straight to demo. It is hard to show data warehousing in only 50 minutes, but I focused on star schemas and ETL and I think it went well. Other than no AC in the Silverlight talk, the rest of the day went great. 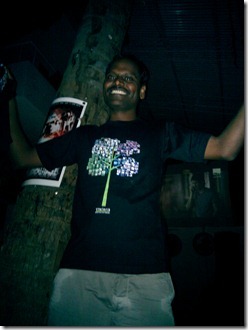 Telerik had a booth at GIDS and we gave away tons of tee shirts and did hundreds of demos. Day 2 was “Web” day with mostly designers and Flash people. I was able to sneak a .NET RIA Services talk in there. I just started to code, no slides at all. In 50 minutes I was able to cover items 1-4 and 8 in Brad’s blog. (I also wanted to cover 5-6, and 9-10, however, 50 minutes was all that I had!) 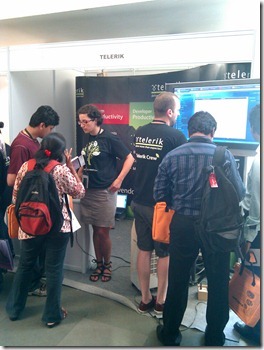 We had a lot of people come by the Telerik booth as well. Coming home from the National Science Center where the Summit is being held, we got stuck in a massive hailstorm. To be honest this video does not do it any justice, the balls were the size of marbles. 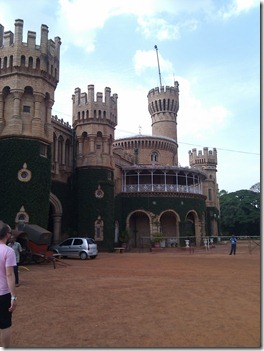 Day 3 was Java day, so we rested and hit the Bangalore Palace to see some sights. I particularly liked the room that had lots of paintings of nudes. 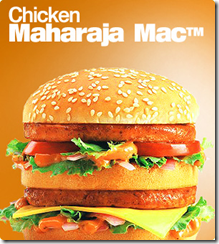 :) It is good to be King (or Maharaja.) I also watched a lot of Indian Premier League cricket. Day 4 was the seminar day and I did my “Agile Tools and Teams” session that I have done before in Pune (see the link for the downloads). I was in rare form, of course decked out in my Rugby Jersey. There was no AC hitting the stage, so I went in and stole a fan from the conference center and put it on the stage. I challenged the audience to a trivia game and asked them where “Scrum” came from. Most guessed Ken Schwaber and I said that Scrum comes from Hirotaka Takeuchi and Ikujiro Nonaka, “The New Product Development Game”, Harvard Business Review, January 1986. 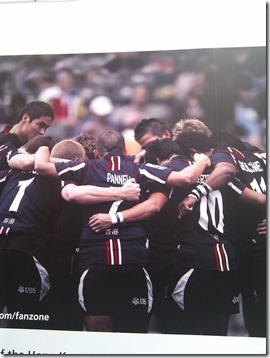 Just for fun I quizzed the audience on the Rugby World Cup and the Hong Kong Rugby 7s. We had a great seminar, actually it was a fire hazard since people were sitting on all the available stairs and floor. After the event, Team Telerik went out for some pizza and headed to the airport to go home. Two weeks in India just flew by. See you next year! In addition to my talks, Telerik will also staff a booth and have demos of all of our products and some tee shirts to give away. I will also be at the booth all day to answer your questions on my talks. Last month Telerik released its new LINQ implementation and last week we released the new Data Services Wizard for Telerik OpenAccess, which supports both traditional OpenAccess entities and the new LINQ implementation. I will a walk you through the process where you can connect to a database, add a new domain model, wrap it in a new WCF Data Services (Astoria) service, and add a CRUD enabled Silverlight application. All in 30 seconds! Open Visual Studio 2010 RTM (or 2008) and add a new ASP.NET project. 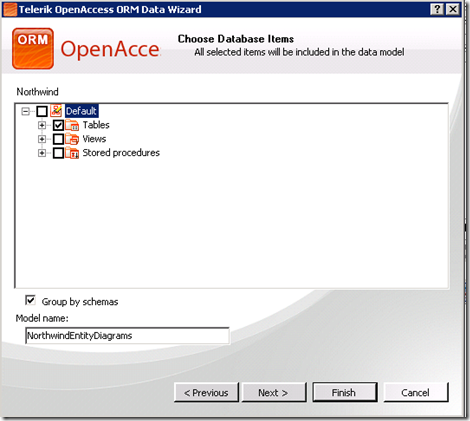 Right click on the project and select Add|New Item and choose Telerk OpenAccess Domain Model from the item template list. The Visual Entity Designer wizard comes up. 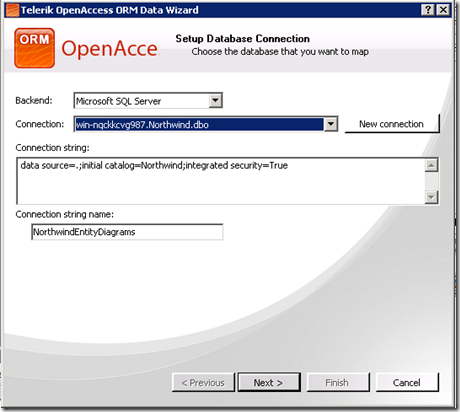 Select the database server you are using in the first screen (SQL Server, Oracle, SQL Azure, MySQL, etc) and then also build your database connection string. Next select the tables, views, and stored procedures you want to map and click finish. Now the easy part. Find the model in your project, it will be by default EntityDiagrams1.rlinq, and right click it to bring up the context menu. 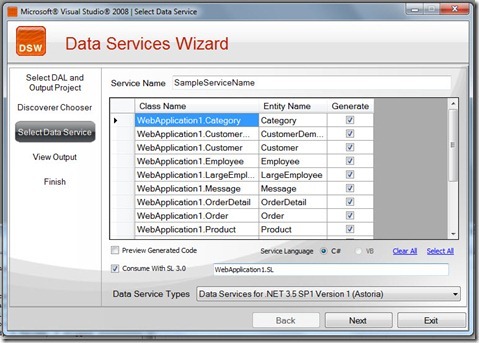 Then select Data Services Wizard|Data Services for .NET 3.5 SP1 Version 2 (Astoria)|Add to Project with new SL Client|Your Project Name. This is the “express” version of the Data Services Wizard. From there it is almost on auto-pilot, you just have to confirm adding the Silverlight Application via the standard Silverlight dialog. All you have to do it hit F5 and run the application! 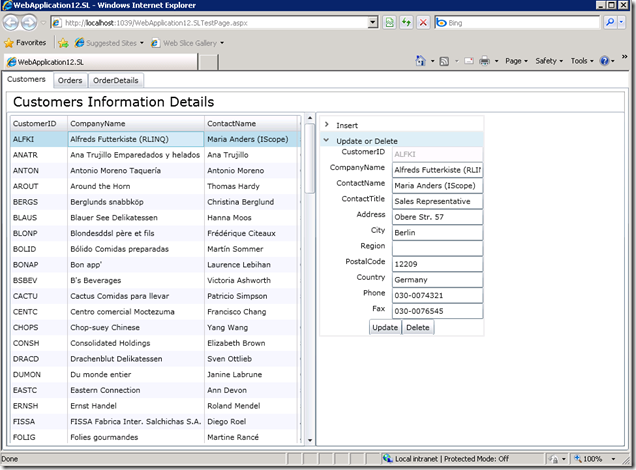 The wizard will create the new WCF Data Service (Astoria), add a new Silverlight application, add the service references, and build your standard CRUD forms in Silverlight, one for each entity you expose. While I suspect that you will want to skin the application and add some validation, the wizard is great for doing the plumbing work for all of the CRUD operations-leaving you to worry about the design and the business logic. We are going to add more to this wizard in the future, things like more control over the layout and validation, play around with it and let us know what is important to add! After a great beta cycle, Telerik is proud to announce today the commercial availability of the OpenAccess Data Service Wizard. 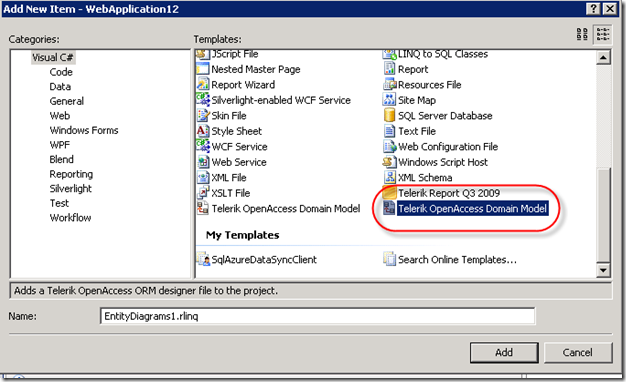 You can download it and install it with Telerik OpenAccess Q1 2010 for both Visual Studio 2008 and 2010 RTM. If you are new to the Data Service Wizard, it is a great tool that will allow you to point a wizard at your OpenAccess generated data access classes and automatically build an WCF, Astoria (WCF Data Services), REST or ATOMPub collection endpoint, complete with the CRUD methods if applicable. If you are familiar with the Data Service Wizard already, there will be two new surprises in the release version. If you generated a domain model with the new OpenAccess Visual Entity Designer, you have only one file added to your project, mydomainmodel.rlinq for example. The first surprise of the new Data Service Wizard is that if you right click on the domain model in Visual Studio, you can use an “express” version of the Data Service Wizard and generate your service with just one click! This is pretty awesome, you can create your domain model from a database and create a service in well under 60 seconds. Surprise number two is that if you are using the new Visual Entity Designer, we now give you the option, in both the full wizard and the right-click “express” version to create a new Silverlight application as a consumer of your new service. The Wizard will generate a Silverlight application with the full CRUD methods for you. You can go from File|New Project in Visual Studio to a full domain model generated from the database, a full WCF or Astoria service, and a fully functional CRUD Silverlight client in under 60 seconds! The Silverlight application generation feature is a very “1.0” feature and we have big plans for it moving forward. We will look forward to your feedback as what to add to this application generation feature next. While I expect you to put your own skin on it and write some validation code, the application we build for you is a great starter and will save you from having to write all of the asynchronous CRUD code in your client. Visit our forums and let us know what you think. Lastly, when OpenAccess releases its Q1 Service Pack later this month, the Data Service Wizard will be part of the main product install, so there is no need for a separate install moving forward. Our release cycle will now be in sync with OpenAccess and we have a lot planned for Q2, I will post an updated roadmap here soon. As you all know there was a massive earthquake and then a devastating Tsunami in December 2004 in Aceh, Indonesia. A bunch of us .NET programmers got together and auctioned ourselves off on eBay. 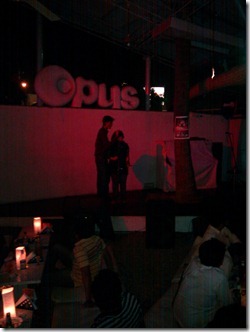 The Microsoft .NET community raised well over $10,000 for IDEP Foundation, a charity based in Ubud, Indonesia. What we liked about this charity, besides that our fearless leader Julie Lerman found them, is that they are based in Indonesia and had instant access to the disaster area and would be around years later when the world would forget about the Tsunami. Today I visited the IDEP Foundation headquarters and its outstanding founder Petra Schneider in Ubud, Indonesia. (Sadly there was another earthquake in Aceh today, but the damage was not nearly as bad.) It was awesome to learn what IDEP has been up to: they have been up to a lot. For starters, they are *still* in Aceh, more than 5 years on. They are now past disaster relief work and teaching sustainability (farming, hygiene, etc) and disaster readiness. Petra showed me photos of their work not only in Aceh, but all over Indonesia. I saw photos of what the money we raised went to: the “buckets” or a bucket that contained one week’s supply of cooking oil, rice, sugar, all the basic necessities. They were handed out to thousands of people who needed it. I can report back the .NET community and all of those who donated that our contribution made a difference. A lot of times we give money to a charity and then we never get to see the unsung heroes that do the work behind the scenes. Today I got that chance and it was very special. If you are ever in Indonesia, look them up! 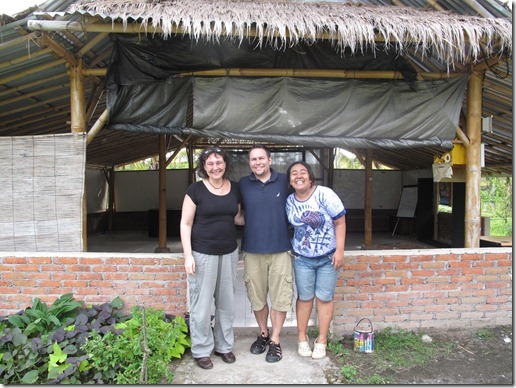 Petra, me, and Avi at IDEP’s training center in Ubud, Indonesia. IDEP Foundation is an NGO in Indonesia that teaches Permaculture and Disaster Risk Reduction & supports communities in need in times of disaster.